Republicans in the Illinois Senate have elected Sen. Bill Brady to serve as the chamber's minority leader. The Republican from Bloomington was selected to replace GOP leader Sen. Christine Radogno, who announced Thursday she was stepping down. Brady takes over at a critical time. Illinois has gone more than two years without a state budget because of a disagreement between first-term GOP Gov. Bruce Rauner and Democrats who control the Legislature. 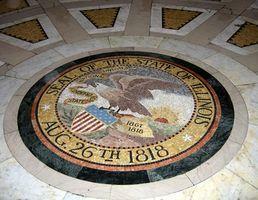 The state is set to start a third fiscal year without a spending plan on Saturday. Brady says: "The issues facing Illinois are daunting, but our caucus remains committed to working together to face those challenges." Brady ran for Illinois governor unsuccessfully in 2010 and 2014. He has served in the Illinois Senate since 2002.